though I already know what I’ll see. and sneak one more brief peek. 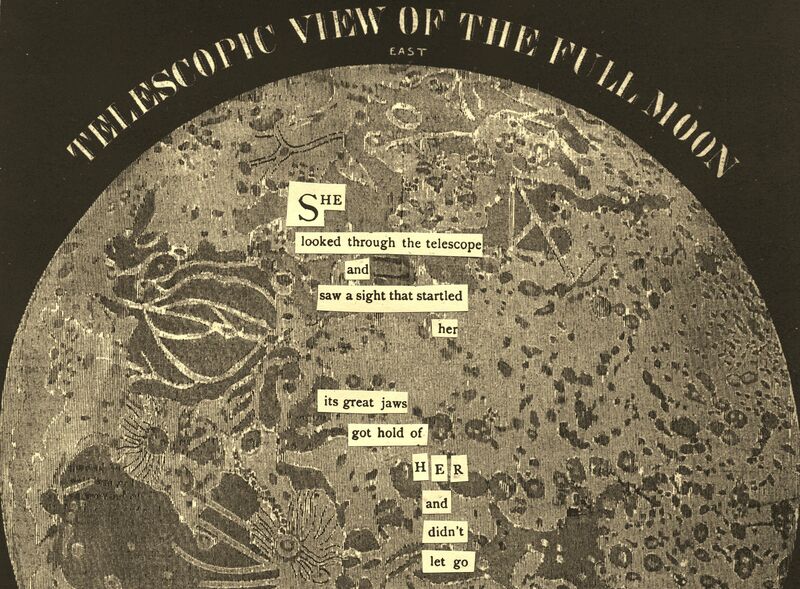 Old graphic of the Moon (from “Smith’s Illustrated Astronomy,” 1855) with cut text from an old Audubon Magazine. 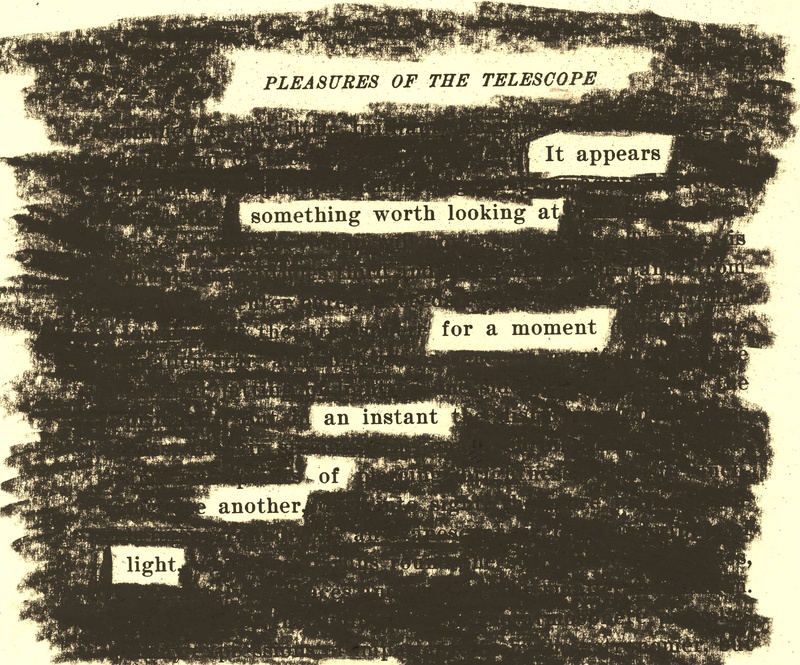 A page of Garrett Putman Serviss’ “Pleasures of a Telescope: An Illustrated Guide for Amateur Astronomers and a Popular Description of the Chief Wonders of the Heavens for General Readers” (1901) redacted into a poem.